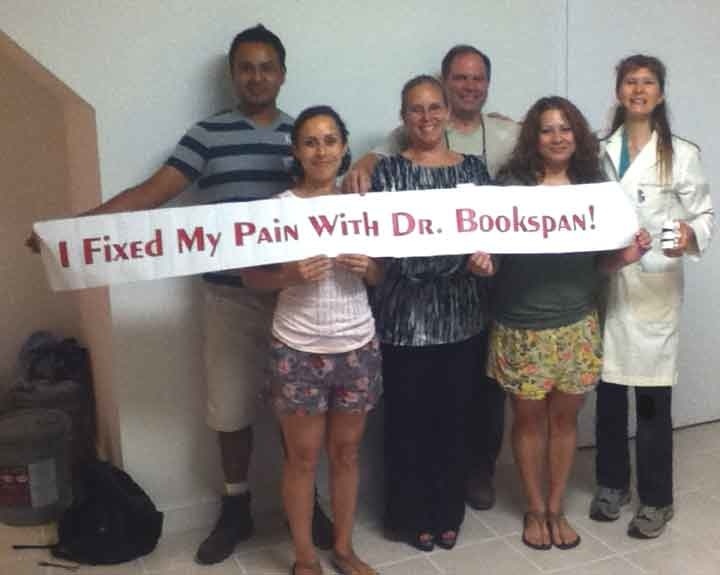 If you want to get started fixing your pain right now, and make life and exercise fun and healthy, you have come to the right place - to Dr. Bookspan. Site Map to more of my large free web site here at DrBookspan.com is at the bottom of this page, and every page, along with buttons to LIKE, TWEET, and SHARE. Making someone give up activities they love isn't "Health Care." It isn't healthy or effective to spend time for repeated treatments but have pain return and be told to live with it. Neither is limiting daily life movement, or using a cane, orthotic or brace as a "fix" - an approach called "Limit the patient to limit the pain." Instead, we stop the pain while you enjoy your life and get stronger. I am the scientist who researches why people get specific injuries, and what to do about them. I do studies to find why common treatments don't work and what does. I developed methods that you use during your real daily life, your normal activities, and the sports and activities you love, to retrain movement habits (function) so that all you do is pain-free, healthy, and fun again - from standing and walking, sitting, cleaning the house, taking the stairs, and bending for things, to your sports, work, art, and exercise. We identify and stop causes of pain and limited movement. This is different from stopping your life to change clothes to do exercises, then go back to injurious movement habits the rest of the day. With my work, you get healthy biomechanics built-in to all you do. This is fitness as a (real) lifestyle. 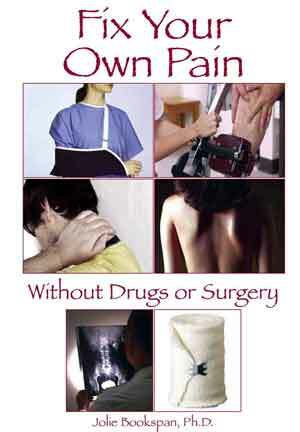 Solid information right here on my web site to identify causes, and fix and prevent your own pain. No ads, no sales pitches. Free tutorials include fixing neck pain, back pain, discs, sciatica, knee pain, foot pain, The Ab Revolution method of solving swayback and back pain with standing and running, healthier better training, mental fitness, and others. Scroll down this page for the articles. 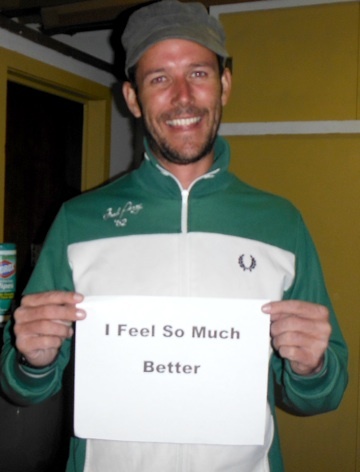 Motivated fun people can fast-track their recovery and train directly with me. I make house calls in center city Philadelphia. I bike to meet you at your center city Philadelphia hotel gym or meeting room. Executive appointments, around an hour and a half each, include consult, assessment, full education and practice of methods to improve during your appointment. Instead of weeks to get better, we can often do all needed while you are here. Come for an appointment to learn everything, then have time around the city to relax and sightsee while putting what you learned into practice. Qualified people can meet with me again the next day or so, to fix more, practice what they aren't sure of, ask more questions, and advance further. HOW TO apply: In a fun note, let me know how you are using and getting better from my work, and what else you'd like to achieve so that I know the next thing you need, to improve right away before arriving. Indicate your center city location for my house-call, and a few preferred dates. Please don't book dates or places without checking if I am available. Please follow these few instructions and make a good impression, not write only that you want an appointment or that you have pain, without all the above. You lose time you could be getting better while I wait for you to supply needed info. Click here for a separate page with appointment details, how to get better enough to travel comfortably, hotels, fun local events during your stay, map & directions, more questions answered before writing to appointment@DrBookspan.com. I never sell or share your e-mail. That is not health. Certification work and master classes for your group, by arrangement. For everyone using this appointment e-mail to say you don't want an in-person appointment but want to fix pain or learn healthier techniques, use #1 above or #3 Online Consult Individual Care, below. Wendy traveled from the United Kingdom for an appointment. Personalized answers for fixing pain and better training. Use Individual Care. Come enjoy fun fast-moving classes to fix pain and learn healthy movement skills, increase function and prevent injury during all you do. All are welcome - physicians and military, trainers, athletes, and lay public. To see all the offerings and the next scheduled class - Click Classes. Creative ideas welcome for locations and organization. See project 6 on the Projects page. Class organizer CIndy Monroy wrote: "Thank you so much for the opportunity to have a class. This class is a life-changing experience and we are all interested in attending another class in the future. You have so much to offer the world." Top methods. Learn directly with me in group workshops or private training. See above. Not testimonials, but tutorials so you can do it too. Patients fixed their back pain, foot pain, knee pain, shoulder pain, fallen arches, and neck pain, and went on to happy, healthier lives using these methods. Click Inspiring Patient Stories. The information you need, easy-to-read, portable, all in one fix-it. Get this specialty massage in your center city home or office. Wear your own comfortable clothing on a soft mat on the floor, no table needed. Wonderful stretches and presses that are relaxing and invigorating at the same time. Read about the myths, the data on benefit, and how to schedule this treat of Thai Massage for yourself or a friend. I was the first to put healthy fitness programs on cruise ships. Previously, no one thought of resorts and cruising for activity. Some rare photos of that here. I developed techniques to change unhealthy standard hospital and rehab techniques, and pioneered functional exercise and fitness - a page about that here. My dream is to head up a center of true health. Fresh air and sun and my top classes and methods. 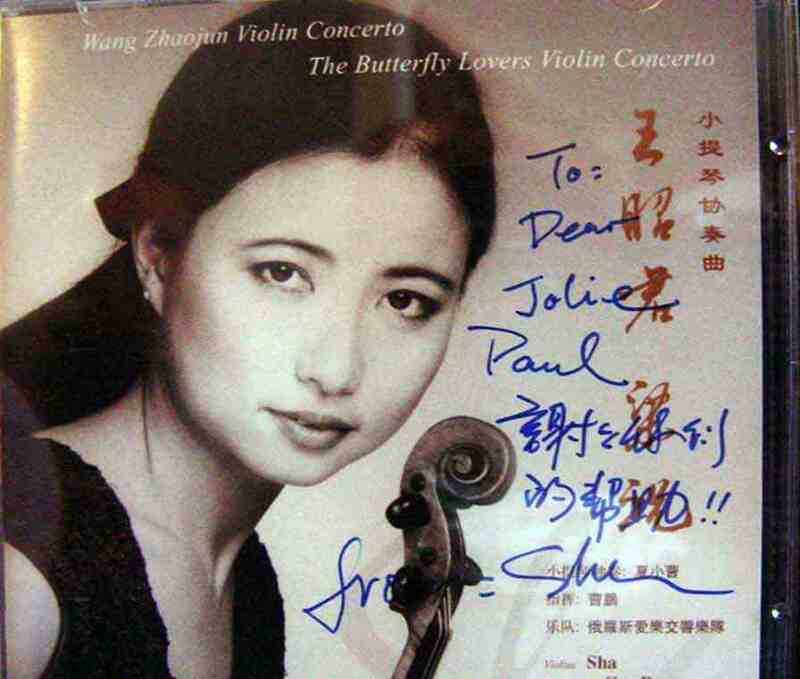 Maybe conferences and master classes at your campus or center? Get in touch to make this happen - See Project 5. Making Medicine Healthy. Much back, knee, neck, disc, and other pain are not diseases, but injuries that you can fix. I use tested therapeutic rehab modalities to identify and stop sources of pain, and improve your mobility, health, (and looks) right away. I pioneered retraining daily life movement habits and biomechanics to be built-in health for all you do. This is not "alternative medicine." It is evidence-based sports medicine techniques applied to real life - where you actually need it. The idea is to get you off constant treatments, and back to your life, better than before. You don't have to do sports or be an athlete to get better with sports medicine. Retraining movement habits (better biomechanics) in daily life is built-in fitness as a lifestyle and injury prevention (functional fitness medicine). I do not consider it health care to go for repeated treatments or sets and reps of rehab exercises, then have pain chronically return. Rolling a tennis ball or foam roller does not fix the source of problems. 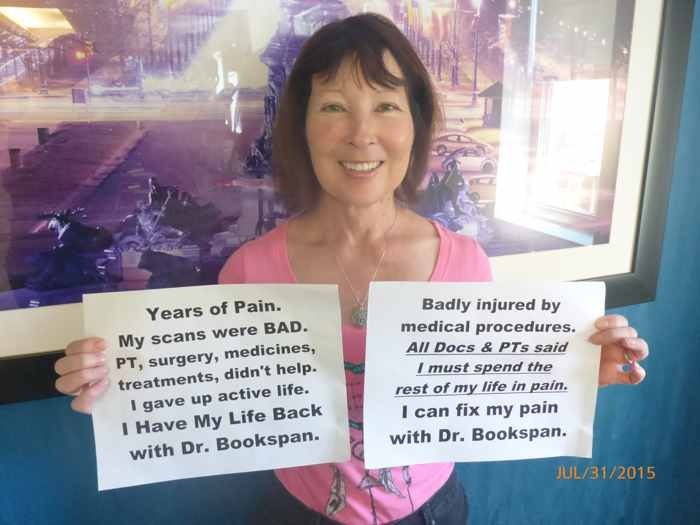 I teach you specific skills to stop sources of your pain and problems, and improve function the way you need for real life so you can get your life back, better than before. Athletes use these methods to directly retrain their sports and exercises to be healthier and more effective at the same time. Good biomechanics is a powerful athletic performance enhancer. I show you top training methods and innovations to go higher, faster, farther, fix injuries you have, and prevent future injury. Elders becoming slower, stiffer, unsteadier, and weaker as years pass is more from lack of specific healthful movement than an inescapable aging process. I teach techniques to restore upper back mobility and normal kyphosis, leg strength and balance, healthy knee and hip dynamics, and disc spacing associated with functionally younger age. Skills, not pills - I show you how to make it possible to straighten out, gain balance needed to get off a cane, stop painful musculoskeletal habits so you don't need pain pills in the first place, and improve strength and mobility to have your life and independence back. Clinicians learn these techniques to reduce preventable hospitalizations, readmissions, emergency room visits, and to improve health outcomes for patients from youth to geriatric. These are major Health Care Reform Initiatives that will be required in hospitals, care facilities, and teaching centers. Adventures! My years in the lab were devoted to healthier ways to survive - not only injury, but extremes in heat and cold, altitude and underwater, high g-Forces, top training modalities for military and athletes, and disturbances in movement. More on me and my work is on my Adventure page. 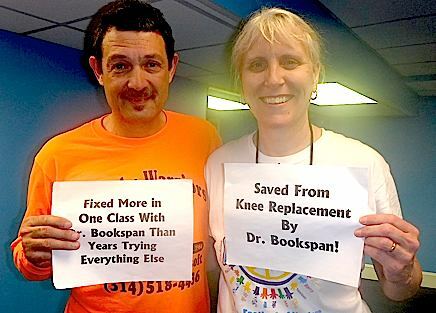 "Dr. Bookspan, you are the MVP (Most Valuable Player) of science and movement." Black Belt Hall of Fame 2011 - My Seminar Students of "Top 10 Injury Prevention Techniques"
Dr. Jolie Bookspan is the "St. Jude of the Joints. If there is a way for you to get better, she'll find it. - Dr. James Mann, Surgeon Podiatrist, Joslin Clinic Harvard School of Medicine. Despite consultations with my orthopedist, two rehabilitation specialists, a sports personal trainer, and a physical therapist, my best advice for post-operative care of my knee has come from Dr. Jolie Bookspan. If you want to get on with your life, she is the door. 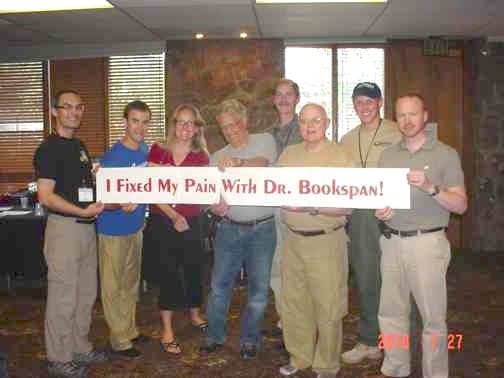 I had been in PT for 2 years before coming to Dr. Jolie Bookspan. I can't remember one day when I felt as good as I did after the first day with her. 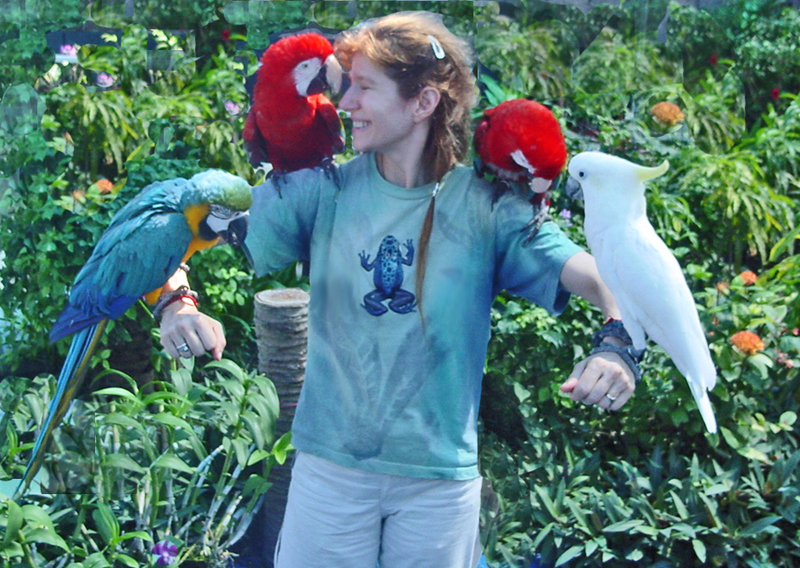 Here is the incredible Kaethe - see her story on the Patient Success page. Why Learn From A Researcher? As a physiologist (person who studies how the body works and why), I develop the techniques that physicians use. I worked years as a military and university researcher in environmental physiology, which is how the body functions in the heat and cold, at altitude and underwater, breathing many mixtures of gases, doing different forms and intensities of exercise, and all kinds of injuries. It's important to understand why things work. If you don't understand, then you can't think for yourself, and are prone to repeat the mistakes of your teachers, who were repeating what they learned from other people who were repeating what they heard, maybe not correctly, and without thinking, and endlessly on. You can quickly learn and use what I spent my life researching so that you can be happy, free of pain, and able to do all you love that is good. Scroll down for free summary articles and fix it right now. Click the CLASS page to come learn more with me, and get certified through the Academy of Functional Exercise Medicine (AFEM). I develop techniques that make top athletes go higher, faster, farther. We fix pain, even injuries you may have been told you have to live with. 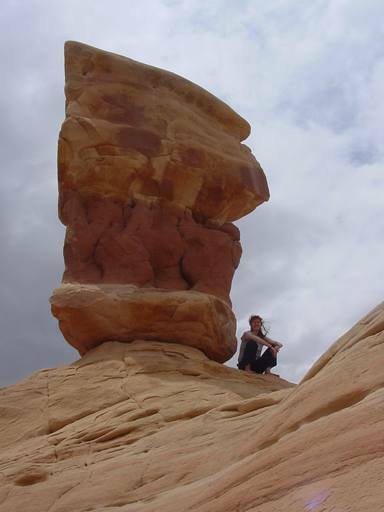 For more about my work, click the Adventure Research page. Credentials and bio are on the Bio page. Some rare photos of early work are also here. "Thanks for all that you do for these athletes." 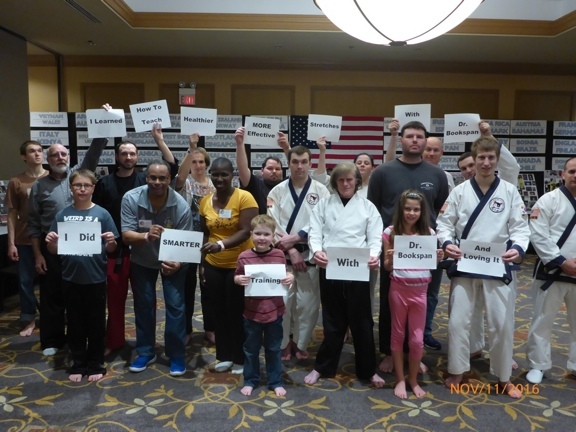 2012 Black Belt Hall of Fame Students in my Seminar "Spine Injury Prevention"
We put the Fun in FUNction. It's the Health Care Reform School. We call it Fixa U See us for when you want to be hip, not need a new one. When I read medical studies that claim positive medicinal effects from humor and laughter, they are numbingly humorless. When I visit medical fitness programs and gyms where people are exercising for health, everyone looks miserable. Then you have people like my Mom, a professional dancer. One of the classes she teaches is tap dance for senior citizens. She named one of her lively groups, "The Clogging Arteries." Another is "Tapaholics Phenomenous - We Do More Than 12 Steps. "Our backup singers are "The Fifth Dementia." Our Muses are the human conditions, Absurdities, Stupidities, and Inanities. We treat Irony Deficiency Disease and lower High falutin levels. Josh Billings (pen name of humorist Henry Shaw) summed it up, "There ain't much fun in medicine, but there's a heck of a lot of medicine in fun. Watch the cool video above of my Mom (at center, then 83 years old) and some students at the end of a 24 hour tap marathon. There is sound with this video. Juggling with Mike LeRoy, professional juggler, who developed neck and shoulder pain from balancing bicycles and refrigerators on his chin. 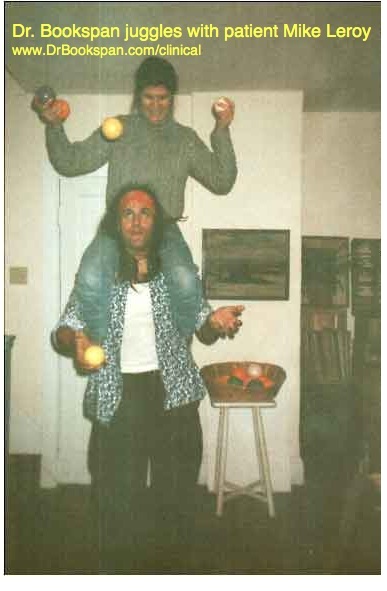 I fixed his pain and we enjoyed juggling together. Photo above, these guys were unexpectedly soft to pet. 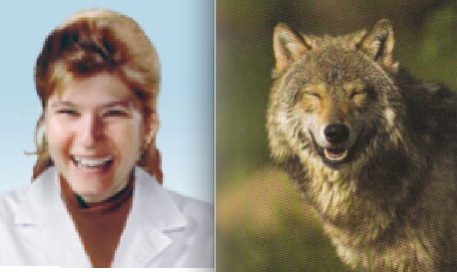 I entered the contest "I look Like My Dog" Here are the results. What do you think? My Teaching Characters - Backman! and SPOT The Anomaly! Backman! is a funny warm character that I draw, who demonstrate concepts in my books, articles, classes, and other works in hundreds of examples. My readers had a contest to name him, described on the Academy page. Behind the scenes, Dog helped, unnamed, until the contest to name him was won by a reader who often sends in great ideas, and wanted to remain anonymous except for first initial. Congratulations Anonymous J for letting us know that dog's name is - SPOT The Anomaly! I have been drawing him into class topics and quizzes where students need to assess movement, sitting, and gait, and SPOT The Anomaly! He pops up from his hiding SPOT to help when needed. Come to class to meet him, and see if you can SPOT him in some of the articles on fixing pain below. He is our new star. "Thank you so much for the free information you provide on your web site. I was able to apply your techniques and I feel better already. This is after buying a $2500 bed, $100 pillow, countless videos and exercise equipment, and still finding no relief. "I just made a donation to your web site (I wish it could have been more, but I’m still paying off that darn bed!) I plan to buy your books and share with my family and friends. "Most web sites only give you a small amount of information because they want you to buy their book or program. I so appreciate the fact that you are helping humanity by putting this information out, free. Seriously, when you are in pain, it is hard to enjoy life, so you are doing a great service here." Español!-! Dolor de Espalda y Que Hacer? Hamstrings! No scientific relation between hamstring flexibility and lower back pain, Toe touching is not great for discs - Why are hamstring stretches mistakenly prescribed? Fix Your Own Neck Pain - Neck, Shoulder, Middle and Upper Back. "Thank you for fixing my neck pain. After you fix your knee pain, here is a page on some of my research to learn about what works and why. It's not exercises, but re-training your joint angles while you live your life - Lower Body Revolution (tm). Some Patient Success Stories that explain what they did so you can learn too. Patient Success Stories - scroll down to foot pain stories. How (Exactly) Do Abs Fix Back Pain - You may be surprised. Also summarizes basics of The Ab Revolution method. Fixing Swayback, Hyperlordosis, SI joint pain (sacroiliac), Spondylolisthesis. Ab Revolution Course Syllabus, Research, and Summary. Lifting and Carrying - Spine Use and Positioning for Healthier Function and Pain Prevention. Stretching for Real Life - Functional Stretching, Fixing Bad Stretches, Wonderful good ones. No More Crunches, No More Back Pain - The Ab Revolution - What abs really do may surprise you. Why Fitness Isn't Working - Traditional exercises and stretches that work against you and what to do instead. Exercises and Stretches That Hurt Your Back and Neck - Exercise is Medicine? Not all exercise is good medicine. Here are healthy built-in daily live healthy movement skills to do instead. Hamstring Flexibility is Not Related to Back Pain - See why, where the confusion came from and what to do instead. Nutrition. Healthier ideas and recipes. Martial Arts. Here are my class syllabus pages for Kickboxing, Advanced Kickboxing, and Karate. Here is my work for Healthier Yoga. Sitting For Planes, Trains, Exercise, Computers, and TV. Français! - Prévenir le mal de dos en cas de longue station assise. What Do Hamstrings (really) Have to Do With Back Pain? 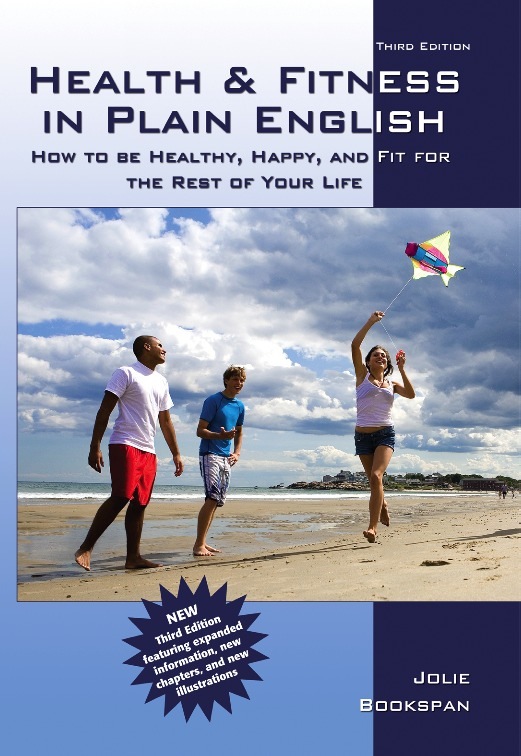 Click this page for "reader favorites" of Dr. Bookspan's Emotional Fitness Training for health. Humor. My Fixa U Department of Silly Syndromes. Schedule a great THAI massage. Learn massage benefits and myths - Thai Massage. Patient Success Page. Includes my Reader Hall of Fame. Fitness as a Lifestyle (Functional Fitness). Not fake fitness, reps of exercises, or purchasing training "plans" but making your daily real life into your own mental, emotional and physical playground of strength mobility and health. Here are my Students of the Black Belt Hall of Fame class of 2016 in my seminar on how to teach healthier stretching. Back row are martial arts teachers, front row are their students. The Bio page has some of my schooling, and a photo of me at age nine winning the science fair - for your entertainment at my expense. The Rare Photos page has some stories of my early work. Plus the "years I thought I'd never mention again" after the accident. Translate an article and I will add it here with your name credit. The world will benefit and you will sure learn the information better for yourself. Mail: Translate@DrBookspan.com. Bravo! 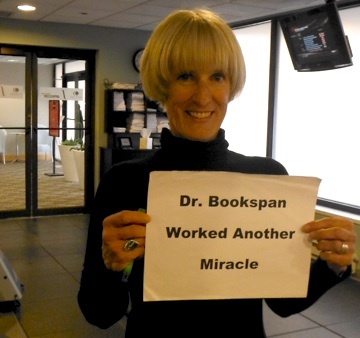 Carla Murador says, "I don't need spine surgery, thanks to Dr. Bookspan"
When exercise and medicine aren't healthy - We Fix It! For four years I brought my column "The Fitness Fixer" to the Healthline company - almost 800 free articles - not repeating the news, but making it. When the column ended in 2010, the company removed all photos and movies I had made for the articles. Later, they removed my articles and redirected links from my articles to their own. Most of my original articles are gone, and the few that remain are not as I wrote them. I found the BlogSpot archives that, at time of this writing, still have some of them grouped by topic with some of the graphics and original text. I put an Index of the articles and the BlogSpot links that I have found so far, here on my site - fitfix-index.html. I continue as The Fitness Fixer on TWITTER. Quick info, announcements, healthier fitness and medicine, class announcements, reader successes, contests, World Health projects, more. Some reader Tweets below. 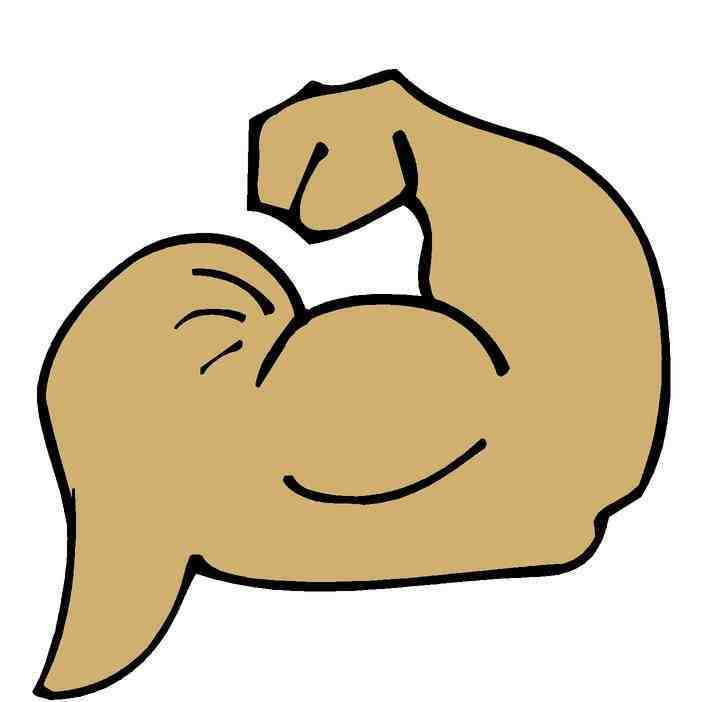 Click www.Twitter.com/TheFitnessFixer No account needed, just click and visit. by following your advice age 50 ran 10K in 44min, rode 100 miles no pain! @TheFitnessFixer Can you explain the swimming warm down? Seems like they are expending needed energy. @TheFitnessFixer Nice post. But how do you feel about sitting at 135 degree angle? @TheFitnessFixer What helps with altitude sickness on airplanes? that I bought a few years ago. Wonderful advice to pull me back when I forget! @TheFitnessFixer Dr Bookspan, what are the ideal sleeping positions? What are bad? Do you address this in any of your books? Thank you! BackSavers of UNcommon Sense. T-shirts for teachers and slouchers, mugs that remind healthy neck for drinking, AFEM Academy professional clothes and items, more ingenious fun. With tutorial patient stories in every chapter. Learn lifestyle positioning instead of stopping your life to "do" stretches. 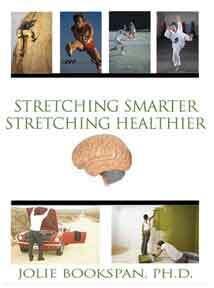 Healthier more effective stretches. For all athletes. High level training for body and mind for all you do. 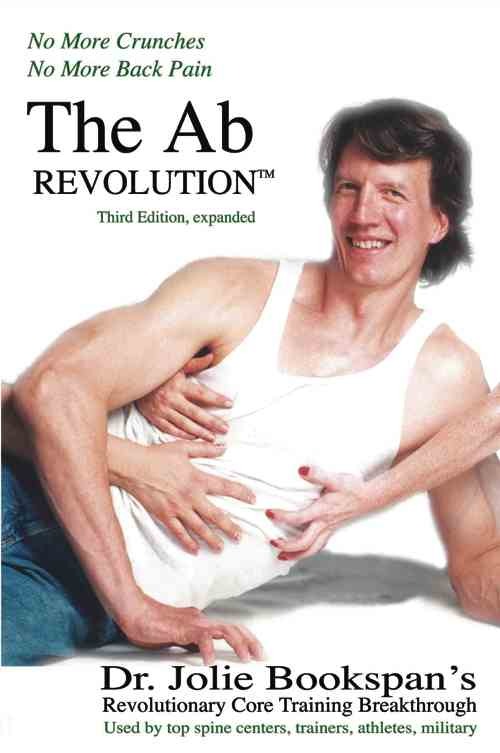 The Ab Revolution Fourth Edition - No More Crunches No More Back Pain Print 4th Edition. Also available in Kindle and Nook. The Ab Revolution is core training the way your body actually needs. Two parts: Part 1- Learn neutral spine to stop a major form of lower back pain. Part 2- Functional strengthening from simple moves to the toughest you can get. Three hard-to-find editions. 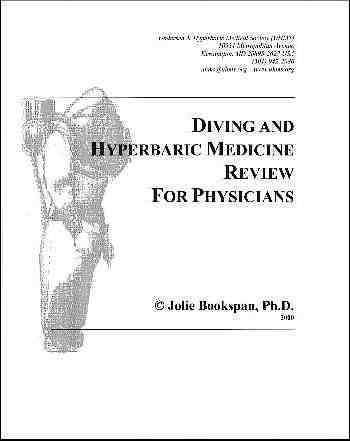 including the cult-classic Diving Physiology in Plain English. I advise on environmental forensics to The Vidocq Society - a world forensic cold case society. I applaud my colleagues' really creepy books. Information, drawings, and photos are © protected copyright. To cite this article or any parts, put author Dr. Bookspan, and link to this site DrBookspan.com at the top and bottom of your reprinting. A suggestion to get my books is also nice. No Derivative Works License means no changes to content, wording or links. More LEGAL waivers and stuff here. If this information fixes your pain, send it to a friend (the article, not the pain). "Make health contagious." 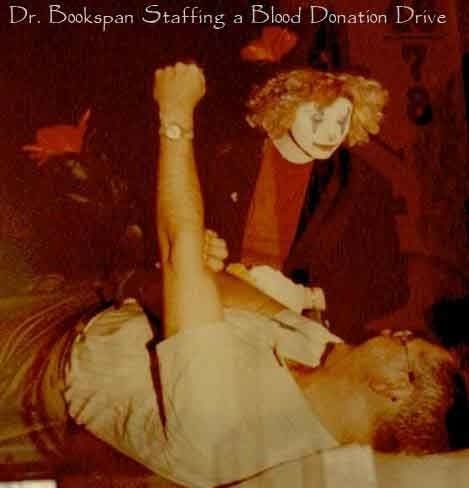 We have found certain people like this information so much that they have copied entire sections and illustrations to their own web sites without credit or link to this site and sole author, Dr. Bookspan. Web site and all contents © Dr. Jolie Bookspan. All rights reserved. You may share and distribute this info with copyright notice and full information attributing credit to Dr. Bookspan and clear link to this site www.DrBookspan.com. If you are promoting health, ASK! Stealing is not health. See copyright reprint info above.